Now that Gravity Rush Remastered is available in Europe on Sony’s PS Now streaming service, I took some time to test how well the game performs when played via the service. If you’re uncertain what PS Now actually is, think of it as a service similar to Netflix. In fact, both services involve streaming video from their servers to your device. However, the main difference is that PS Now renders the video of a game that you’re playing in real-time. Button presses from your controller are sent to the server, where PS4 hardware renders the next frame, which is then sent back to your PS4 or PC. In Gravity Rush Remastered’s case, all of this happens at 60 frames per second. It’s rather impressive to see how far we’ve come, and that this technology is actually a viable way of playing a game nowadays. But can PS Now really deliver a gaming experience that is comparable to what you’d get from playing a game on your PS4 at home? Read on to find out. There are a couple of advantages to a service like PlayStation Now. First and foremost, you don’t actually need a PS3 or PS4 to play the games available on the service. While Sony recently ended PS Now support for a large number of devices, a PC desktop app is still available. Another advantage is that you no longer need to install or purchase the games. You can simply start them by selecting them from a growing list of games. A brief loading period is required, but once the game has started the experience is mostly the same as if you’re playing the game locally. Of course, there are drawbacks as well, and you can read more on those below. As impressive as the technology behind PS Now is, it can’t deliver the same performance as you would experience while playing the game on your local PS4. First of all, there’s input lag. This is the time that is spent between you pressing a button on your controller and the resulting action actually being performed on-screen. PS Now needs more time to process your input and deliver video back to you, and as a result the input lag gets worse. While I could certainly feel the additional lag when playing Gravity Rush Remastered on PS Now, it’s something that’s only really noticeable in a direct comparison. My own rudimentary testing seemed to be in line with Digital Foundry’s more accurate measurements, with the game delivering an overall lag of around 100-150ms. Given how this is a single player game that doesn’t require quick reflexes, I never experienced this delay as being problematic. One aspect that was absent from Digital Foundry’s review of PlayStation Now was the audio quality. I don’t consider myself to be knowledgeable when it comes to audio compression, but the drop in audio quality was actually the first thing I noticed in the game’s opening menu on PS Now. Kohei Tanaka’s excellent orchestral soundtrack for the game sounds worse on PS Now, although in-game I can’t say it was noticeable. Graphically, there’s also an obvious downgrade. While Gravity Rush Remastered runs at a 1080P resolution, the video over PS Now is actually delivered in a 720P resolution, and in a compressed form to save bandwidth. As such, the graphics looks blurrier and less detailed, and in darker areas there’s noticeable macro-blocking. That said, I found the end result to be acceptable. I imagine that on a 4K TV, these artifacts would become more noticeable, but I only tested the game on a regular Full HD (1080P) TV. You can view four sets of screenshots showing the difference below (left is a screenshot from the game running on a local PS4, right is PS Now). In motion the macro-blocking does get worse, but from my experience the drop in quality is actually only really noticeable when examined on still screenshots. When I was playing the game, the visual quality appeared consistent during gameplay. The fact that Gravity Rush Remastered doesn’t aim to deliver highly realistic graphics and instead uses cell-shading certainly helps PS Now here. I also didn’t notice any stuttering throughout my gameplay sessions, as the game’s framerate remained as smooth as when the game ran on a local PS4. Sony does recommended a minimum connection speed of 5 Mbps to ensure that you don’t run into problems. Aside from the technical performance, there are some other limitations to PS Now. First of all, even when using PS Now on a PS4 you can’t use the Share button to take and upload screenshots. Seeing how important this functionality has become for PS4 games, not being able to use it for PS Now games is more than a little unfortunate. I also tested the PlayStation Now desktop app for PC, which delivers pretty much the same functionality, with one major caveat. 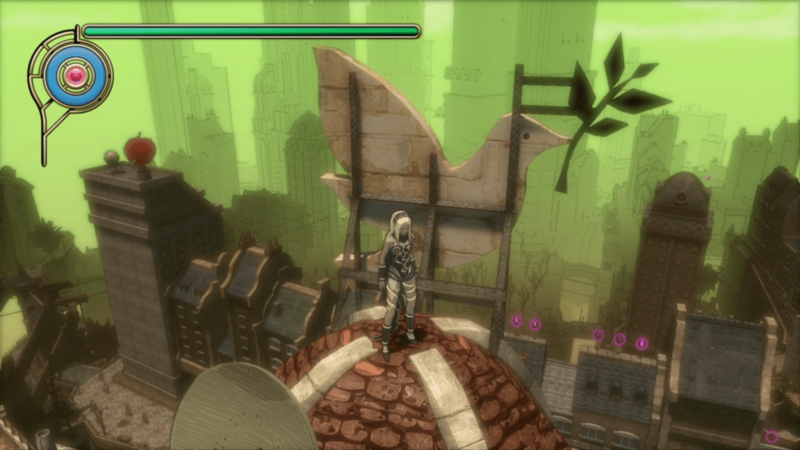 Games like Gravity Rush Remastered offer menus and subtitles in various languages, but there’s no in-game setting to change it. And that’s a problem on PS Now. On PS4, once you’re in-game PS Now (thankfully) still uses the PS4’s system language setting to determine which subtitles to use for the game. However, on the PS Now desktop app it always uses the language that’s set in your PSN profile, even in-game. And the problem there is that the language is restricted per country, meaning that English typically isn’t available if you’re not in the UK. Having an option to set the language in the desktop app would have been welcome indeed. Overall I’m impressed by how well Gravity Rush Remastered plays on the service. The graphics, audio and latency all take a hit compared to running the game locally, but during the time I spent playing the game the performance was consistent and I didn’t encounter any stuttering. In fact I sometimes forgot that I wasn’t actually playing directly from my PS4. Unfortunately, the service doesn’t seem to scale with the available bandwidth. Even though my connection was well ahead of the recommend specs, the service doesn’t use the extra bandwidth to improve image and audio quality. This is an area where the service can definitely improve. But the real problem with PS Now remains its price. Particularly in Europe where PS Now costs €16.99/£12.99 per month. In comparison, in the US the service is available at a cost of $99.99 per year, less than half of what it costs in Europe. At this price, I just can’t see a lot of people paying for the service. Many have called on Sony to create some sort of synergy between their PS Plus and PS Now services, but for some reason Sony hasn’t shown any intention of doing so. Hopefully, we’ll see Sony make further improvements to the service in the near future and do something about the price point.